NATFHE Journal - "an exhaustively researched and elegantly written, non-partisan account of the history of the relationship between the state and higher education which will doubtless become seminal in the field." Journal of Educational Administration and History- "This is a substantial study of the way in which the central government has steadily built up a system of close control over all major - and many minor - aspects of the affairs of individual universities…It is the most extensive work in this field since the publication in 1939 of R.D. 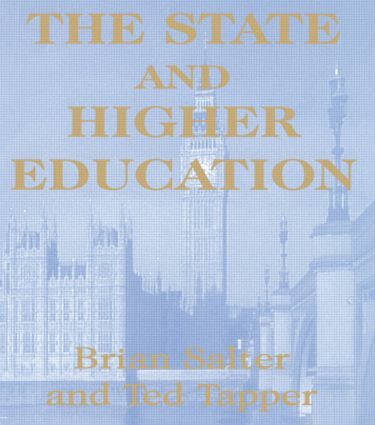 Berdahl"s classic, British Universities and the State.